Through the program, Omni hopes to provide more than 18.2 million meals each year for food banks to feed kids, families and seniors in communities across the United States. Say Goodnight to Hunger is the largest campaign launched by a Feeding America hospitality partner. Omni’s contribution to this program is just one element of its commitment to feeding families and reducing hunger nationwide. Throughout the nation, Omni associates will generously give their talent, time, and compassion to volunteer at food banks in their local communities to amplify the impact of the Say Goodnight to Hunger mission. 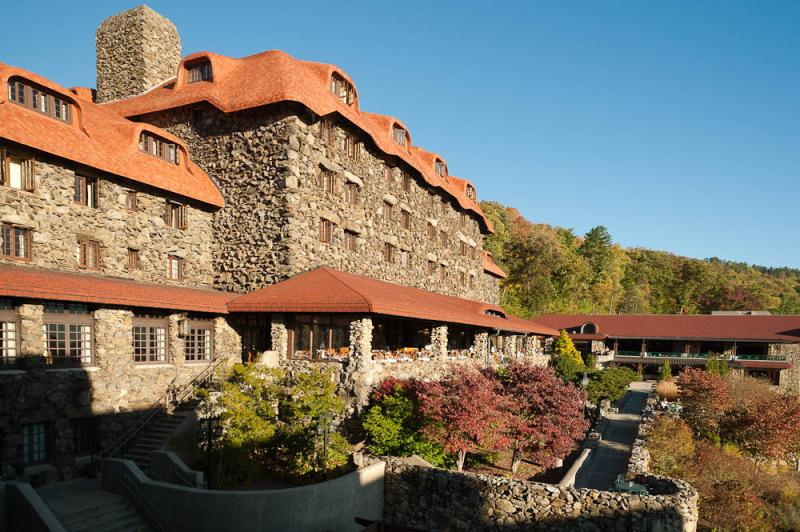 The Omni Grove Park Inn will kick off this partnership by holding their July Manager’s Meeting at the MANNA site to learn more about the remarkable impact this organization makes on the local community. The team will volunteer for the afternoon to pack and organize meals for distribution. The Say Goodnight to Hunger program is a natural extension of what is already happening across the hotel brand and this will be another opportunity for MANNA and The Omni Grove Park Inn to work together. The Inn has supported MANNA previously with various functions including their infamous Blue Jean Ball. In 2013, MANNA Packs for Kids was even one of the original six recipients of the Annual Holiday Parking Partnership Funds.